And, here's another stamp club card from this month! I CASE'd this card from Tammy Beard! Mary requested ideas using vellum, so I pulled out the Graceful Glass Vellum, but got stuck! So I went to Pinterest and searched for ideas! This card came up, and I thought it was perfect! Thanks, Tammy, for the inspiration!! I used the Wood Textures Designer Paper for both the chair and the "sand". We sponged Early Espresso ink over the "sand" to add some grainy-ness to it. (not sure that's really a word, but you understand!) I love it! The vellum was colored in on the back side with Stampin' blends. Here's a super simple card using the Petal Promenade Designer Series Paper! You could easily switch this up using any designer paper!! And, any sentiment!! I used one from the Beautiful You Stamp Set. Tags: #simplestamping, Beautiful You, Petal Promenade, Stamp with Tammy, Stampin' Up! The retirement lists are available now. 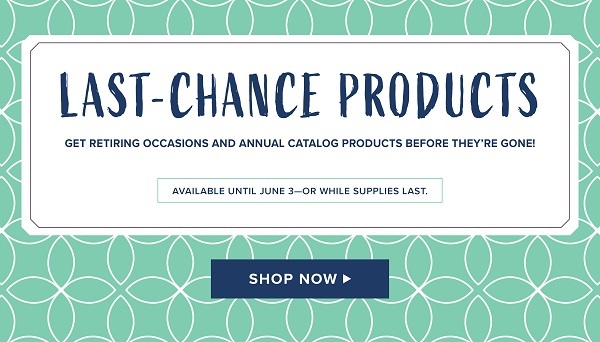 That means select products from the Occasions Catalog and Annual Catalog are retiring—and this is your last chance to get them! Check out all the details below. I'll be sending out more details later on the exciting die options in the 2019–2020 Annual Catalog. I just wanted you to be informed when you saw our old-style die-cutting & embossing machine will be on the retiring list. Retiring In Colors: Powder Pink, Lemon Lime Twist, Tranquil Tide, Berry Burst, and Fresh Fig. In the past, retiring In Colors have sold out quickly so don't wait to get your stash of ink refills, paper, and embellishments. Aren't they all gorgeous?!! My swap can be found HERE. We'll start up again in July! We do have on spot left in the next round -- click HERE for all the details!! Tags: #hugsfromshelli, #paperpumpkin, Stamp with Tammy, Stampin' Up! Tags: Beautiful Day, Big Shot, CTS316, Embossing Folder, Framelits, Inkspirational Challenge 184, Stamp with Tammy, Stampin' Blends, Stampin' Up! Paper Pumpkin is all bout delivering an easy, fast, fun, all-inclusive crafting experiences to your door in a cute box filled with fun papercrafting goodies. I'm so excited to announce that April's Paper Pumpkin kit will include an extra-special treat: Stampin' Up! 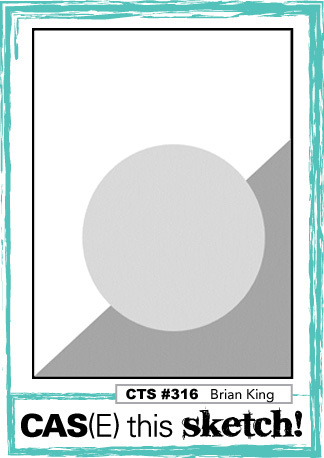 's brand new Distinktive® stamp images. You'll love how these exclusive stamps create a detailed, shaded, and 3-dimensional effect in a single stamp! 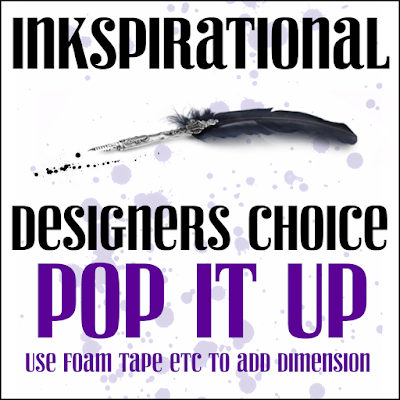 Subscribe to Paper Pumpkin before April 10th so you don't miss this Distinktive stamping experience!